Beard care brand Superfurry sent their Pillow Sprays to us to review and we decided that these needed to be used for a decent amount of time before reviewing. They are a blend of essential oils in an alcohol base that are as their name suggests, made to be sprayed onto your pillow. Two pumps of the spray is recommended. We both loved the lavender scent, we have always had Lavender in the garden and would cut some to put in our daughters pillow cases when they were little to help with sleep. Lavender is very calming and so it makes drifting off to sleep easier. But then we disagree on the other two scents and in fact we both love one and dislike the other! My wife loves Lola’s Dream, we have been using it on the Mosquito net that is over our bed and currently wrapped in four sections round each post of the bed. Fort me the Anise is what puts me off. But my wife just loves it. I love Madame Tolou, it is as Ivan describes it, almost magical. It has a resinous scent with the sweetness of the Vanilla and it is the most incredible scent, however my wife disagrees and doesn’t like it! 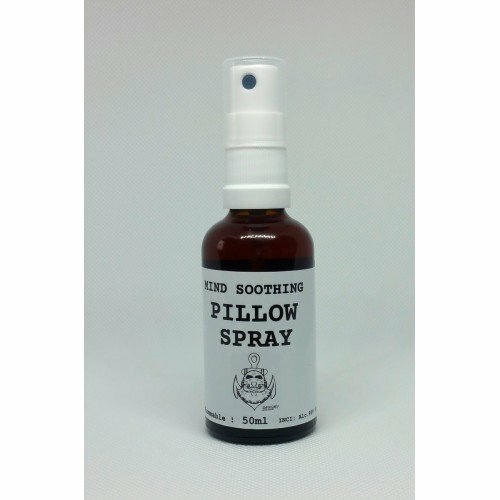 So we highly recommend these Pillow Sprays, a great product and great idea! They will not only create a lovely scent but they also use essential oils chosen to help with sleep and reducing stress. The 50ml Pillow Sprays come in a glass bottle, they cost €14.50 each or all three for €40 from the website.